Neither for Ford Expedition nor the Lincoln Navigator were named Motor Trend’s SUV of the Year for 2019, with the JL Jeep Wrangler taking the publication’s top honors instead. Both the Expedition and the Navigator were in contention to take SUV of the Year, with both of the vehicles being named finalists in the competition. 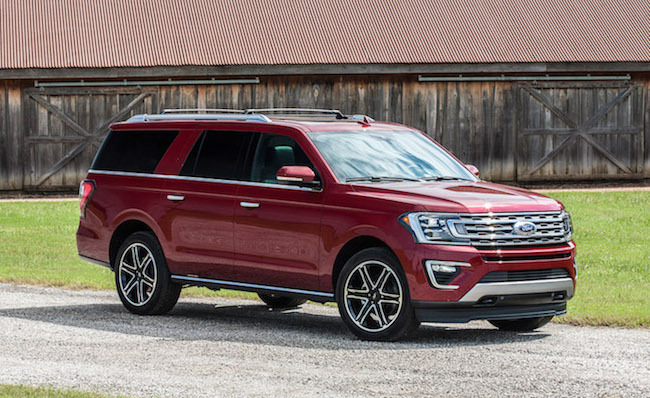 MT liked the Expedition’s powerful engine, spacious cabin and smooth ride when they tested it, but docked it points for the 10-speed automatic transmission’s rough shifts. The Navigator, meanwhile, received praise for its cabin materials and confident personality, but was criticized for having a somewhat bouncy rear end. The Wrangler, meanwhile, was praised for balancing raw utility with off-road capability and on-road comfort. MT also liked its available 2.0-liter engine and flawless start-stop system. One of the only complaints lobbed at the Wrangler, surprisingly, was with regard to its six-speed manual transmission. MT didn’t like it and suggested buyers pay up to get the eight-speed automatic instead. While the Expedition and Navigator may have missed out on MT’s illustrious SUV of the Year award, the fact that the two vehilces were finalists is a good sign for Ford. The two full-size SUVs have received good reviews from the press, especially when compared to the outgoing Expedition and Navigator, and should be well positioned to take the fight to vehicles like the Chevrolet Tahoe and forthcoming Jeep Grand Wagoneer going forward. The Expedition and Navigator were also up against stiff competition this year. Finalists included the pure electric Jaguar I-Pace, the Volvo XC40, Acura RDX, Hyundai Kona, Subaru Forester and Range Rover Velar. The Ford EcoSport and Edge were also eligible to take Motor Trend’s SUV of the Year for 2019, but failed to make it to the ‘Finalist’ stage of judging. The updated Ford Mustang was also eligible to take Motor Trend Car of the Year, but also failed to make it to the ‘Finalist’ stage.